Experience the Seychelles Islands in your very own Luxury Apartment; Sables d’Or Luxury Apartments is situated on the beautiful Beau Vallon Beach. Enjoy waking up; strolling along the white sandy beach and swimming in the clear Indian Ocean, a mere steps away from your very own veranda. Hear the waves whilst having your breakfast. This beach front vacation rental is perfectly located to a number of walkable restaurants, shops, water sports facilities, diving centers and vendors who sell an excellent variety of fruits and vegetables from their street stalls. Our wonderful holiday apartments are perfect for family travel and globetrotters that want to feel like a local Seychellois and embrace the island life. Sables d’Or Luxury Apartments are considered to be the most spacious and stylish in Seychelles. All four apartments are superbly designed and combine island style sophistication with simplicity, which is the ideal feel for beach living. They have fully air conditioned bedrooms and lovely large balconies with views of the ocean. Our Self Catering Apartments each have a modern open plan kitchen with Miele products, ideal for guests who wish to prepare their own meals. Alternatively there is a good selection of restauarants in walking distance offering a variety of dining experiences from International to local cuisine. We can also deliver a Continental Breakfast to your apartment and arrange for a local chef to cook you a Creole meal. We have received three years in a row the Certificate of Excellence from Tripadvisor as well as awards form Booking.com. We offer; daily maid cleaning services, free internet Wi-Fi, BBQ facilites and sunloungers for our guests. A Concierge service is available during the week to help plan and book any excursions you wish to experience. We also have a private beach garden area that is a perfect location to watch our stunning sunsets, enjoy a sundowner or a picnic. It takes 15 minutes to get to the main town Victoria, and 40 minutes to the Seychelles International Airport. 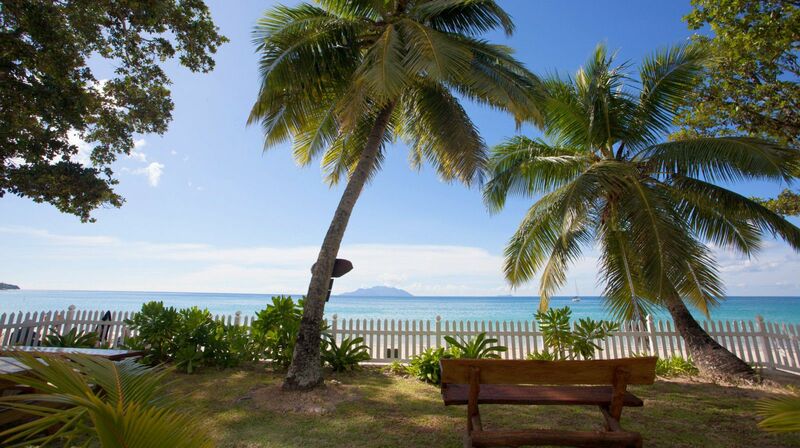 Sables d’Or Luxury apartments is the perfect base for your island adventure in the Seychelles. We are a small family run business and we wish for you to feel at home during your stay with us and fall in love with the Seychelles Islands. Embrace the island life. Please email us with any inquiries. © 2016 Sables d'Or Luxury Apartments. All rights reserved.